If you follow me even a little, you know both Jody and myself are both big fans of Winter Wear Designs*. When Suzanne first came out with her rompers, neither my daughter nor myself were in love. Neither of us were interested in them and so I didn’t give it much thought. 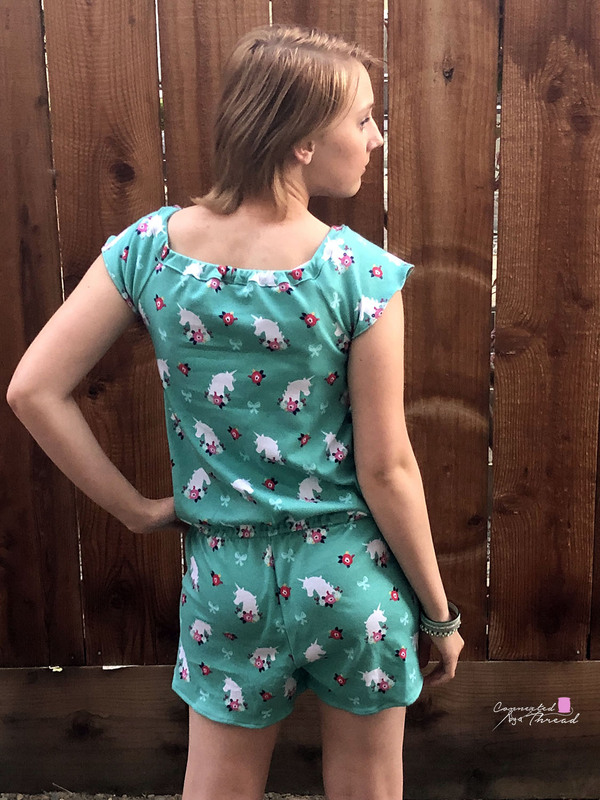 Last summer, my daughter started wearing a couple RTW rompers but quickly got irritated that they didn’t fit quite right. Again, I didnt think much of it. 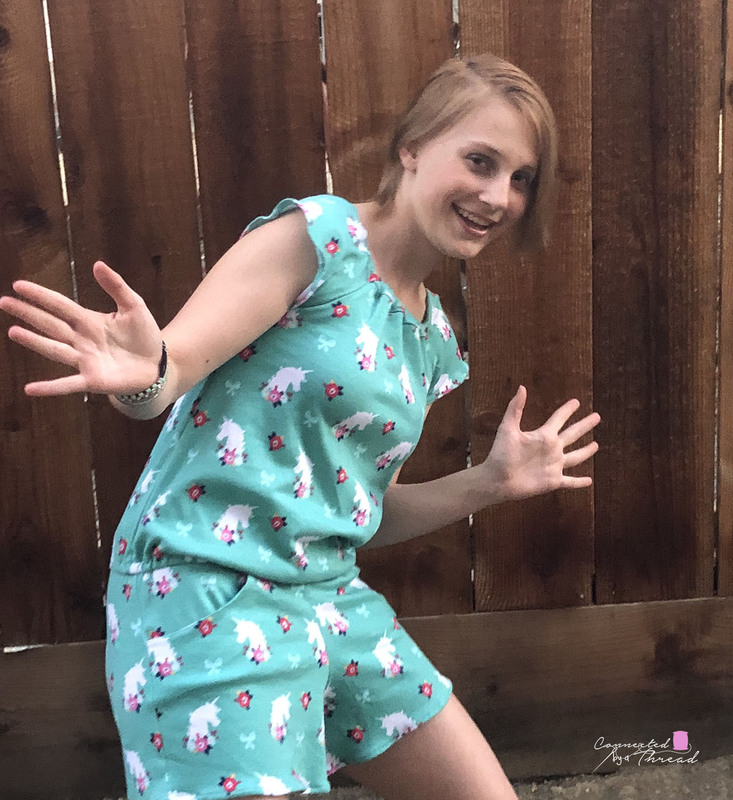 Then, Suzanne posted about this month being all about the rompers, and Jody said she “had to have one”! I figured that I would grab some knit off my shelves (we all know I have PLENTY of fabric! ), sew one up, she would wear it once and then it would sit in her closet like most items she requests these days. 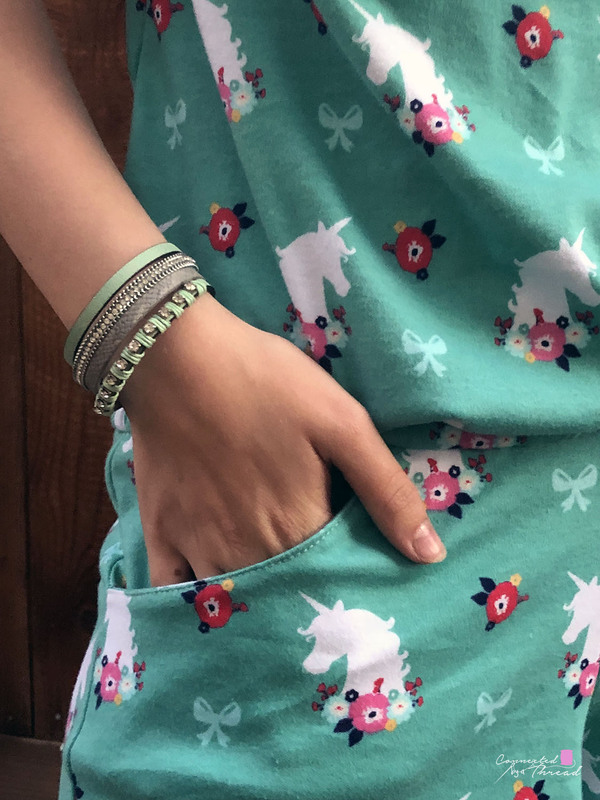 Then, I took a trip to the fabric store (to find some cute knits for the boys) and came across this beautiful and fun unicorn fabric. It wasn’t too old looking nor was it babyish either. I knew Jody would love it! I was beyond right! 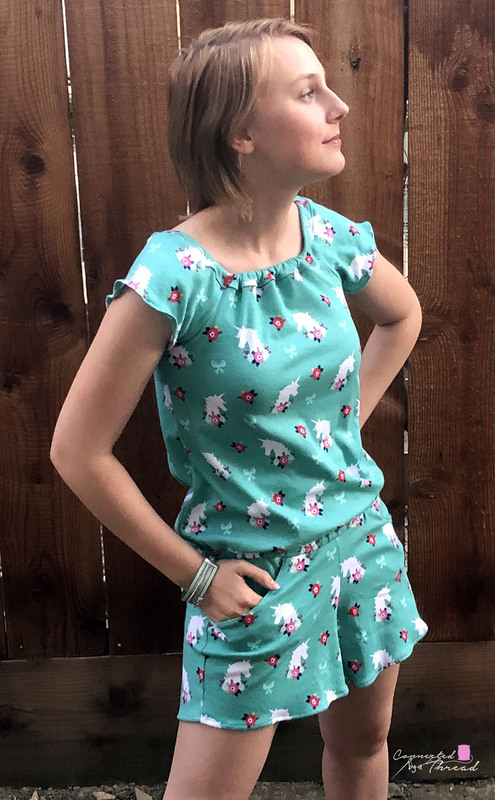 She has already worn her new romper to school and has requested more (and some fun mods for this one as well!!). 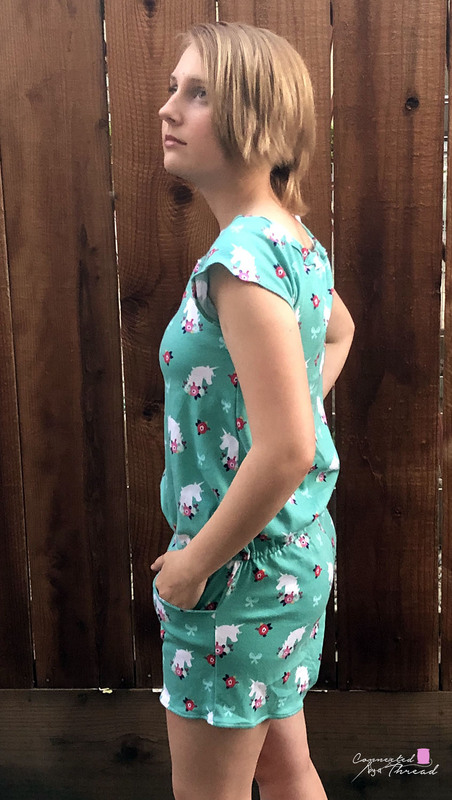 I chose the Boho Breeze Romper as Jody is very modest and prefers all straps and fasteners not be visible, so this works perfect! I did shorten the neckband elastic by about four inches (directions included in the pattern) allowing it to sit on her shoulders, making it a school appropriate outfit! 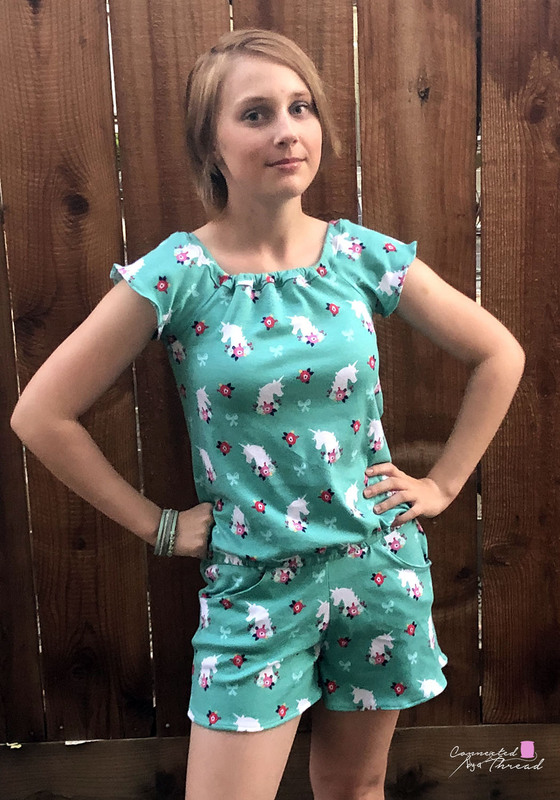 For Jody’s romper, we went with the shorts and short sleeves as we are heading into summer. She loves that she has pockets- teens these days cant be far from that phone! I am pretty sure she is going to live in these all summer long! I better get sewing! 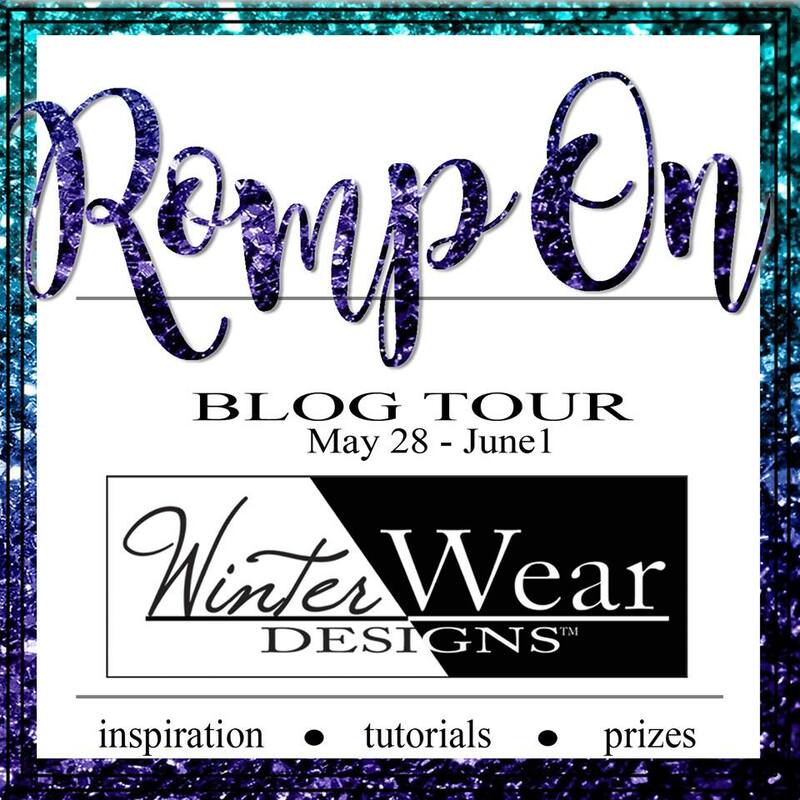 on the Romp On Tour!!! All hyperlinks followed by a * may contain an affiliate link. When you use my link, it allows the designer to see where sales are coming from, and I get a small commision on all sales. These commissions allow me to continue blogging and sharing new creations with you! Bring on the Blouse (and the self love)!